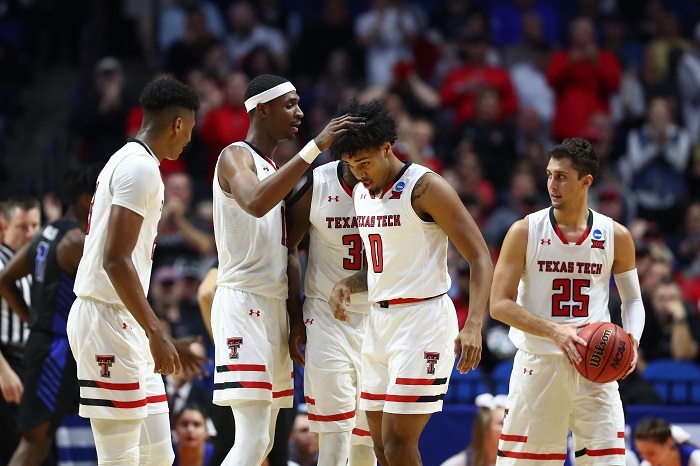 As we get ready for the NCAA Tournament National Championship game on Monday night in Minneapolis, we’ve got our spread for the game, and once again, the Texas Tech Red Raiders find themselves in the underdog role. Per BetOnline.ag, the Virginia Cavaliers opened up as a 1.5-point favorite. As you can see, the total number of 117.5 points is absurdly low considering the shot clock era and three-point line. The last time a championship game would’ve hit that number is 2014, when UConn beat Kentucky 60-54. Prior to that, in 2011, UConn got by Butler 53-41. Then, you’d have to jump back to 2002 for Maryland’s 64-52 win over Indiana. Now for the spread, Texas Tech will be an underdog once again, which they’ve been in every game since the Sweet 16. They were two-point dogs against Michigan, five points vs. Gonzaga and then three on Saturday night against Michigan State. But the Red Raiders keep prevailing thanks to Chris Beard’s defense, which always travels in any environment and has allowed Tech to reach its first National Championship Game in program history.